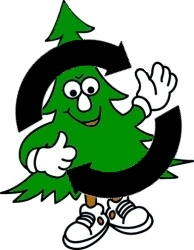 Girl Scouts are participating in their 13th year as the Official Tree Recyclers for Sonoma Valley! Complete information available on our Christmas Tree Recycling Page. 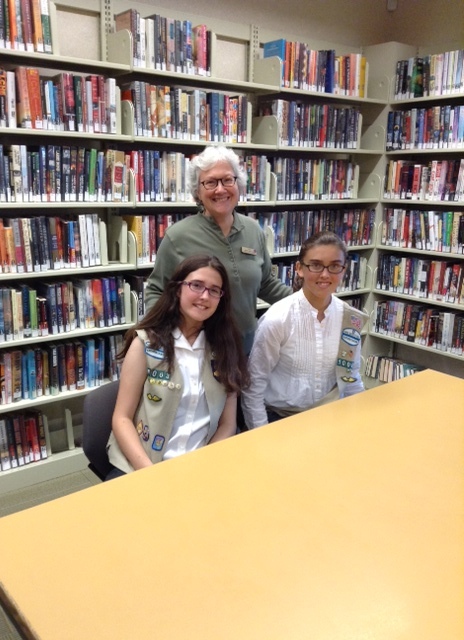 Sofia Serbicki and Renee Serota have been Girl Scouts since Second Grade. As Cadettes, they decided to do the Silver Award Project for the Sonoma Valley Library because they both love books and were aware that the Library needed help. Initially they wanted to raise funds for the Library to be open on Mondays again. They chose Clare O’Brien as their Silver Award Advisor and she told them that the Library would not be able to open Mondays again, because they are part of a county wide system that chose to close Mondays. Also the girls discovered that fund-raising is not an acceptable project for the Silver Award. So they decided to create ways for teens to use the Library more. After doing research the girls discovered that other near by Libraries had a Youth or Teen Advisory Board so they decided to create one for our local Library. They created polls, and emails and letters, finding teens who were interested. The Board is called the “Teen Leadership Council” or TLC for short. The Council meets monthly, and sometimes every other month. The Leadership Council recommends books and writes book reviews in a binder that Clare has at the Library for all teens to make contributions of book reviews. The TLC will send a member to the adult Library Board Meetings to hear what they are doing and to give Teen advice on books, activities and suggestions to increase teen presence at the Library. Teens who are interested in joining the TLC can get an application from Clare at the library desk. Congratulations to Renea & Sofia! 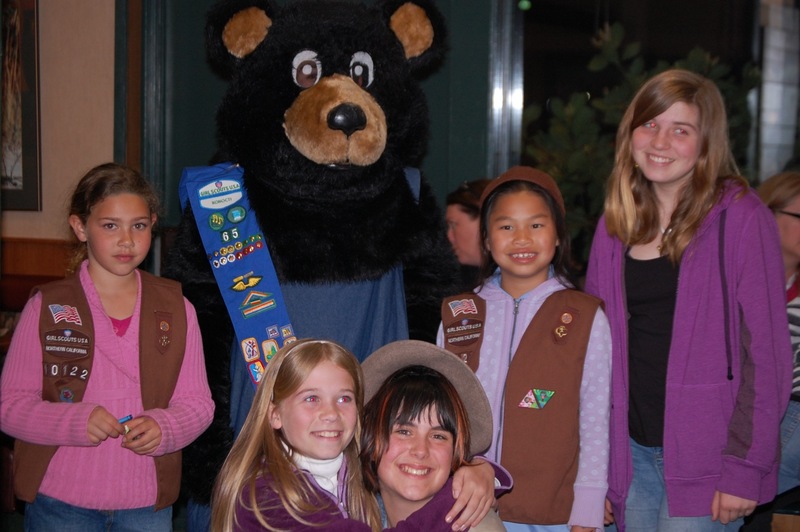 Girl Scouts are participating in their 12th year as the Official Tree Recyclers for Sonoma Valley! Girl Scouts from Sonoma enjoyed a fun evening in the downtown Plaza amphitheater for our Town Square Celebration of the 100th Birthday of Girl Scouting. 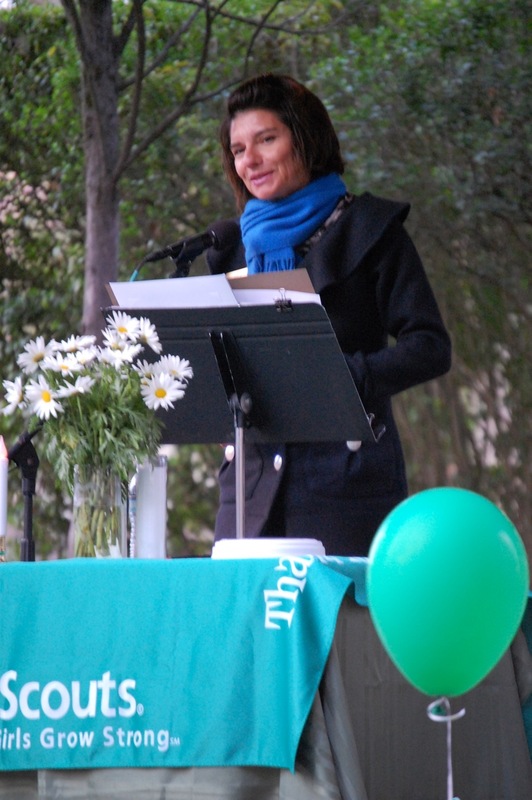 Mayor Joanne Saunders was our featured guest and read a Proclamation from the City Council. 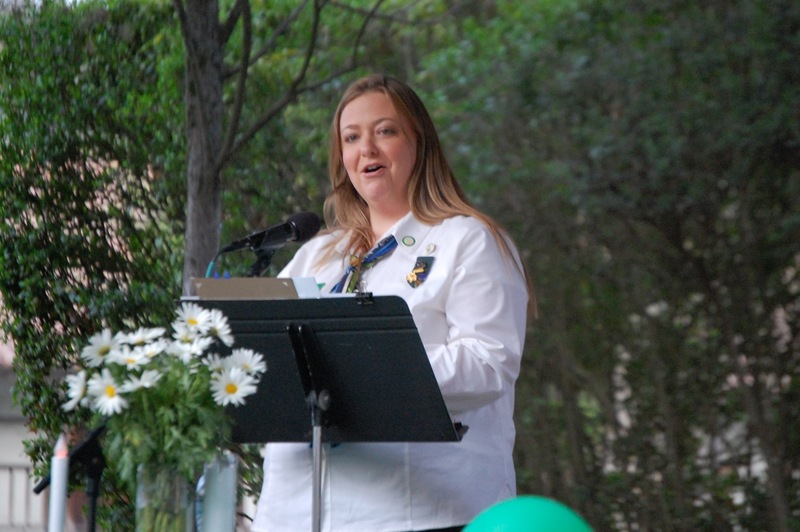 Along with some traditional Girl Scout songs, a candlelight ceremony preceded the countdown to 7:12pm (19:12 military time) with a Happy Birthday song to Girl Scouting. A great event and lots of fun memories. 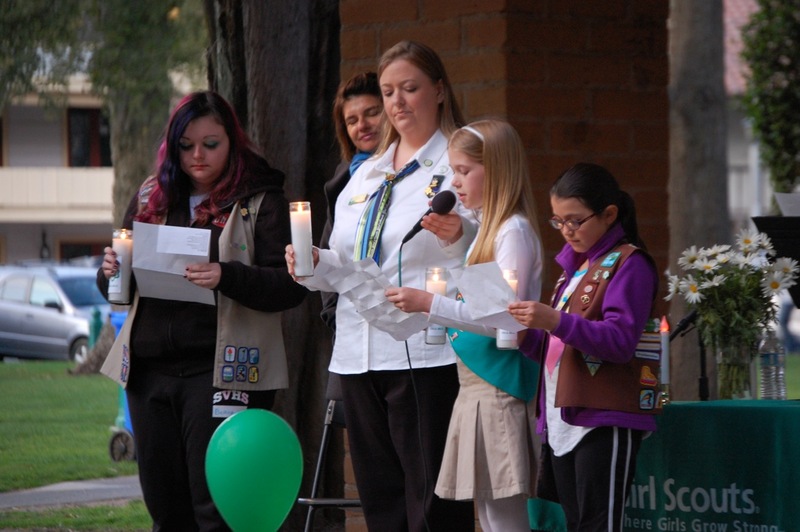 Sonoma Girl Scouts join in the candlelight ceremony and countdown to 7:12pm (19:12 military time). 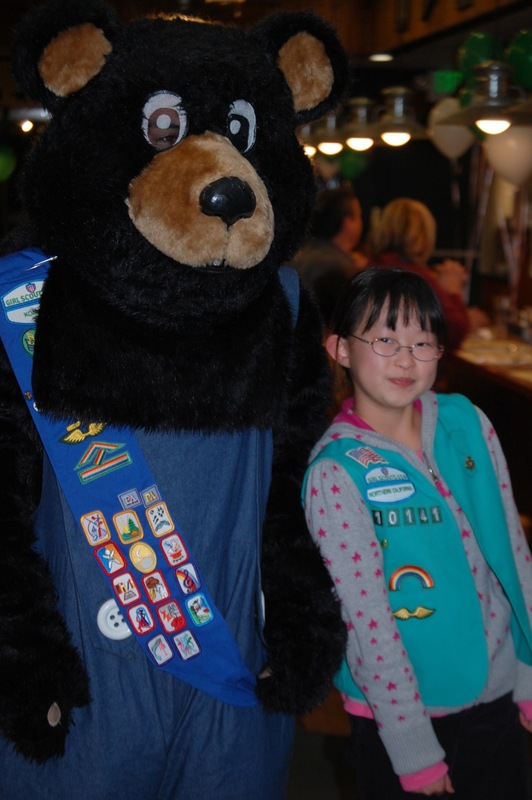 After the event, many families went to the Black Bear Diner for a special Girl Scout dessert and continued the celebration. 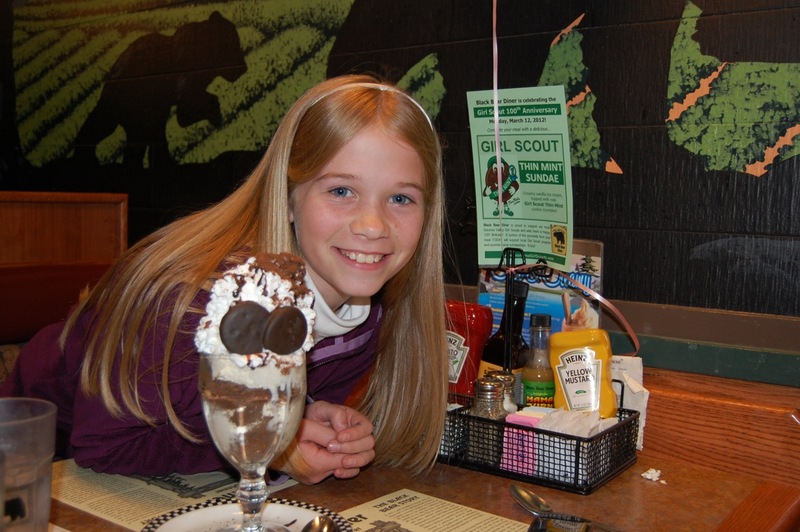 The Black Bear created a special Thin Mint Cookie Sundae just for Girl Scouts on Monday. It was delicious! Special thanks to the City of Sonoma, Mayor Joanne Saunders, the entire Rank Family, and all the volunteers who helped with tonight’s program. 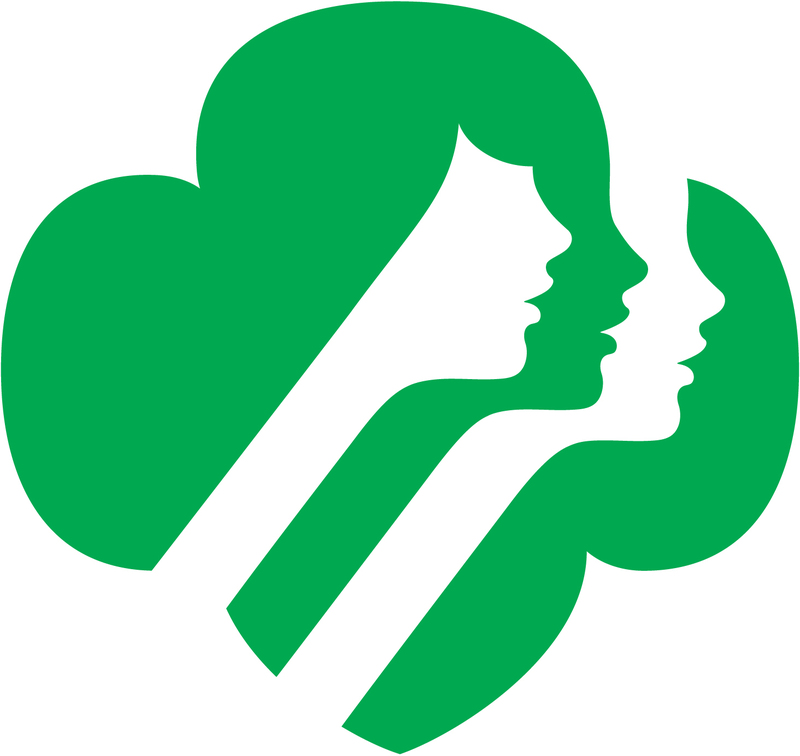 We also want to recognize the Black Bear Diner for hosting a special Dine & Donate all day, with a percentage of the proceeds going to Girl Scouting in Sonoma. 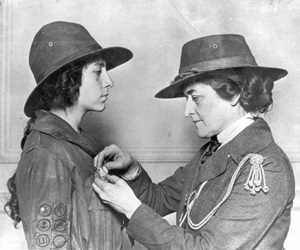 Happy 100th Birthday Girl Scouts!